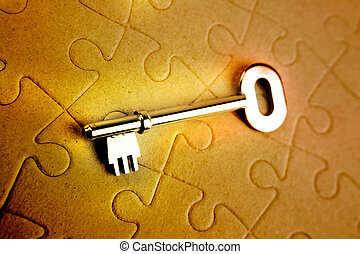 Key to unlock the lock and solve jigsaw puzzle. 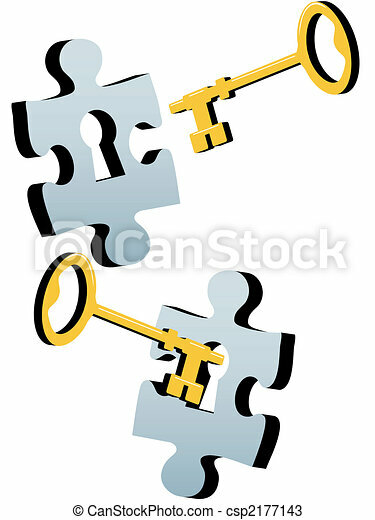 A gold or brass key to find a solution to a lock as a jigsaw puzzle piece. 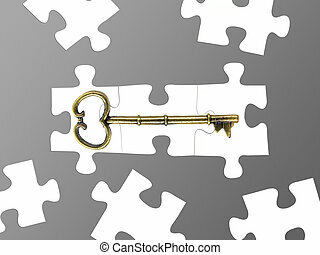 A gold or brass key to find a solution to a lock as a jigsaw puzzle piece. 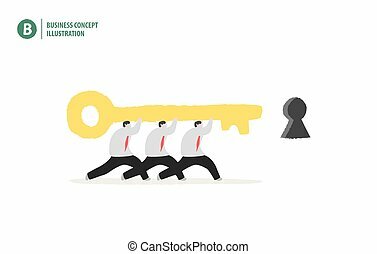 Businessman holding the key to unlock meaning teamwork for solution on white background illustration vector. Business concept. 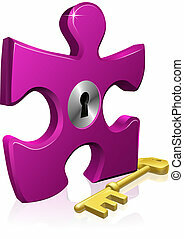 Key to solving the problem line icon, vector illustration. Key to solving the problem linear concept sign. 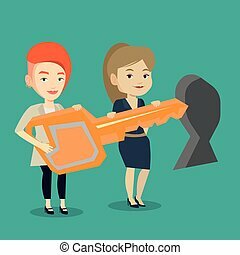 Happy business women standing in front of a keyhole with big key. Business team holding the key to success. Two businesswomen carrying huge golden key. Vector flat design illustration. Square layout. 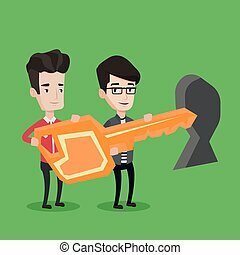 Businessmen standing in front of a keyhole with big key. Business team holding the key to success. Two businessmen carrying huge gold key. Vector flat design illustration isolated on white background. 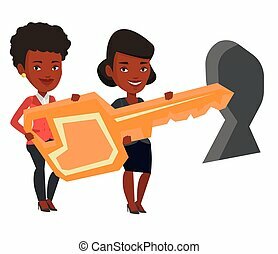 Business women standing in front of a keyhole with big key. 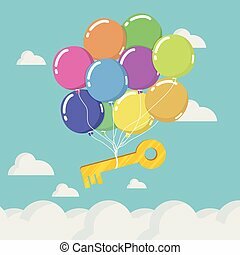 Business team holding the key to success. Two women carrying huge gold key. Vector flat design illustration isolated on white background. 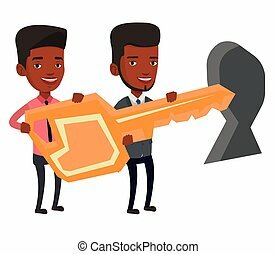 Happy businessmen standing in front of a keyhole with a big key. 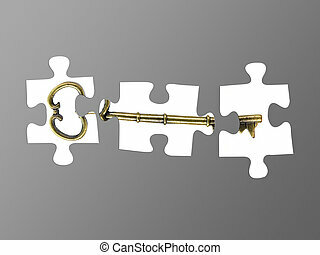 Business team holding the key to success. 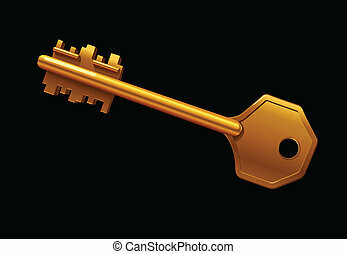 Two businessmen carrying huge golden key. Vector flat design illustration. Square layout. 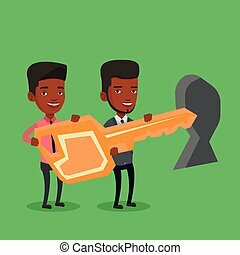 An african-american businessmen standing in front of a keyhole with a big key. Business team holding the key to success. Two businessmen carrying key. Vector flat design illustration. Square layout. 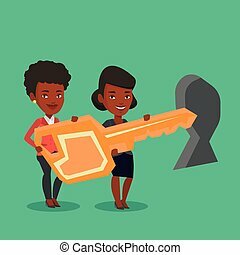 African-american business women standing in front of a keyhole with big key. Business team holding the key to success. Two business women carrying key. Vector flat design illustration. Square layout.